Vernon Volumes: Get that foot! Paige is definitely interacting more with her environment lately. 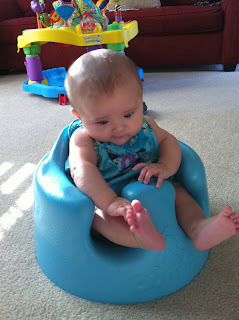 Daddy noticed that she was really intent on grabbing her foot the other day in the Bumbo and got a few pictures and a short video. Not too exciting to some, but it's a big milestone! 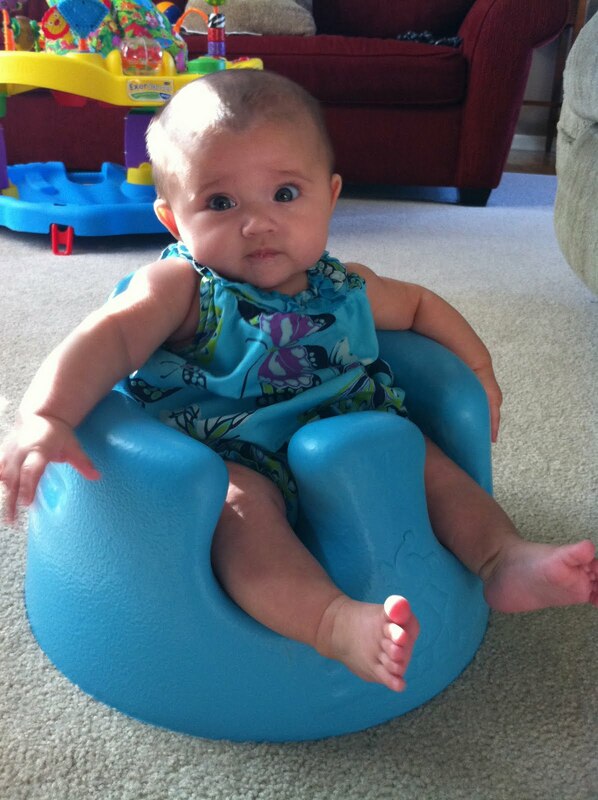 Love those big eyes. She looks very intense.